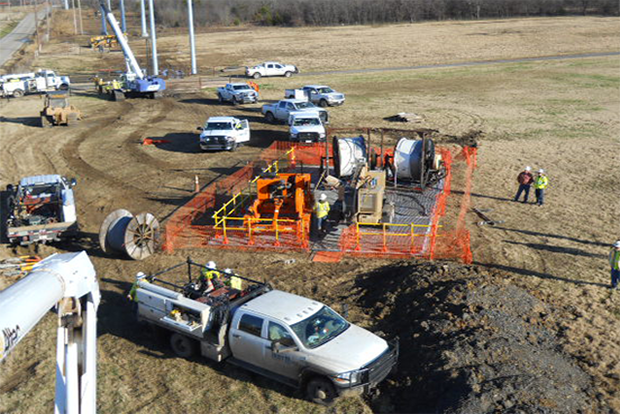 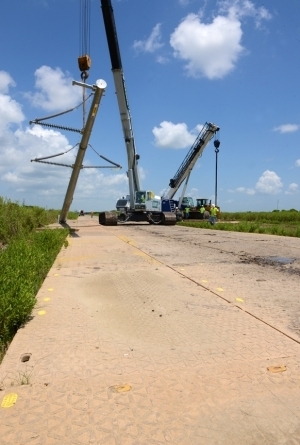 Power Transmission, Utility Distribution Mats & Access Matting | Newpark Resources Inc.
DURA-BASE® has provided jobsite access for the power transmission industry for over 15 years. 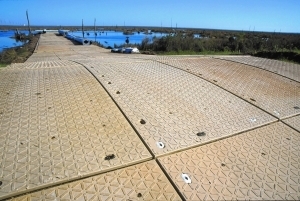 Whether you need temporary road access, a stable jobsite platform or ground protection in a sensitive environment, DURA-BASE® Advanced-Composite Mat System™ is your ultimate matting solution. 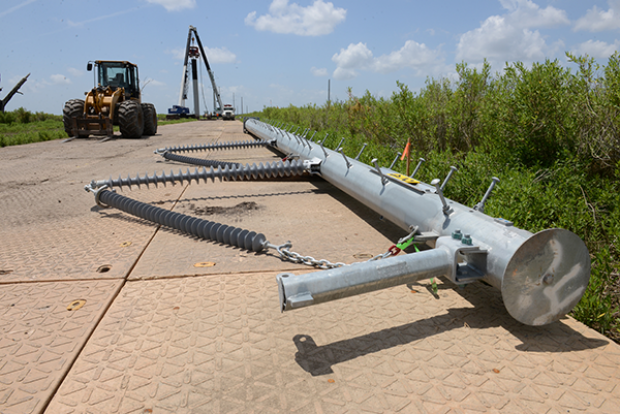 The DURA-BASE EPZ Grounding System expands upon the benefits of the DURA-BASE advanced composite mat and provides an innovative solution for creating equipotential zones in utility and power transmission applications—which has historically been a long-standing challenge for industry contractors. 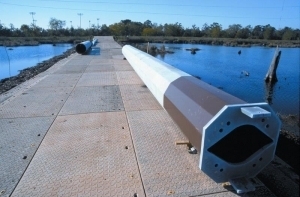 Newpark’s EPZ Mats™, which have passed third party testing using ASTM standards, include bus bars to secure grounding and offer optional integrated safety zone rails designed to keep workers and equipment safely within the work zone. 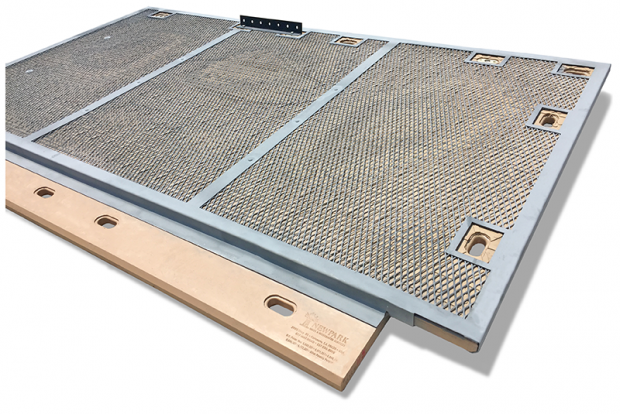 Each individual DURA-BASE® mat measures 8’ x 14’ x 4’ thick (2.44m x 4.27m x 10.2cm) and weighs approximately 1,000 lbs (454kg). 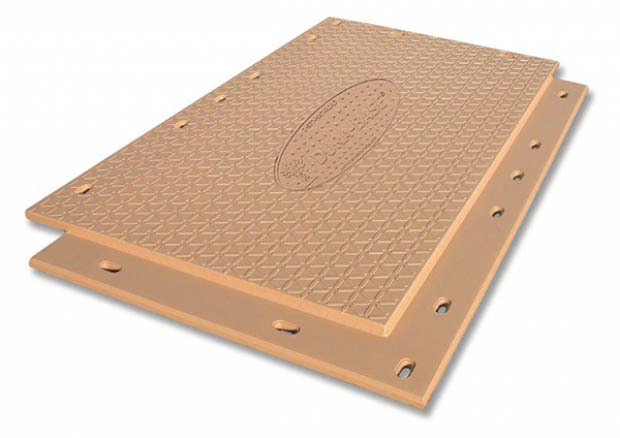 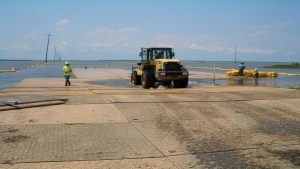 DURA-BASE® is engineered to provide a stable work platform or access road regardless of difficult terrain.